For British motorcycle road racing fans of the mid-1960s to mid-1970s there was no better racer than Peter Williams. Usually riding underpowered bikes, Peter embodied the spirit of the British underdog at a time when most fans were still intensely patriotic and yearned for British success. This book, ‘Designed To Race’, charts Peter’s early life, moves on to cover his motorcycle racing years (1963 to 1974) and then describes his later engineering career and new projects which continue to this day. The book is an engaging read throughout. For this reviewer it is the details of Peter’s early career and his talent for innovation that stand out. Looking back over his life, he describes the various forks in the road which took his life and career in its particular directions. Peter is well-known for his exploits on Tom Arter’s Matchless G50 fitted with cast magnesium wheels, familiar to all as ‘Wagon Wheels’. Riding this bike he won the 500cc race at the 1972 Hutchinson 100 meeting, which was run on the short circuit in reverse at Brands Hatch, passing the multiple world champion Giacomo Agostini on the MV Agusta. Ago then crashed, probably trying just that bit too hard to catch Peter. The race is described in detail in the book; Peter refers to being ‘in the zone’ and how he had a precognition that he would win. Earlier in 1971 Peter had won the Ulster Grand Prix in the 350 class on an MZ two-stroke, ably demonstrating his versatility. His other most famous win is probably the Isle of Man TT Formula 750 win in 1973. The book describes how Peter’s talents contributed to making a success of applying new thinking and the technology of the day to a motorcycle with an engine near the end of a much extended life. The original 500cc twin, upon which the 750 Commando engine was based, was designed by Bert Hopwood in 1948. 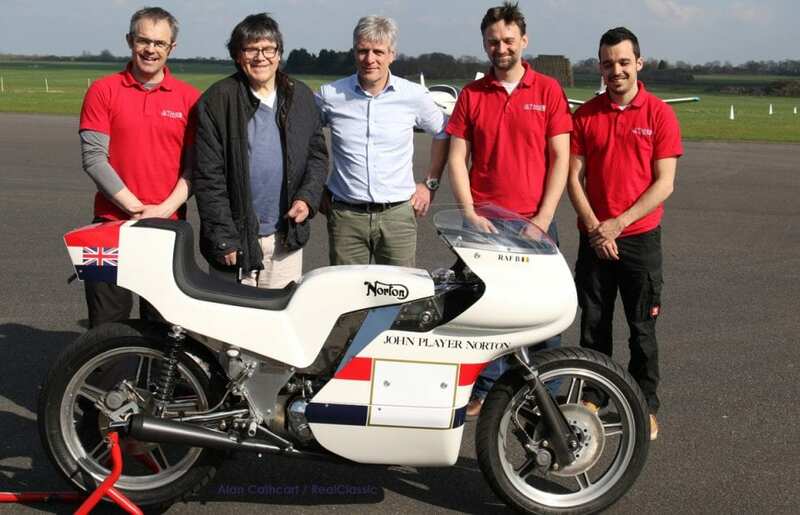 In addition to the lowered monocoque frame and aerodynamically efficient bodywork of the John Player F750 Norton, Peter was responsible for designing the gearbox outrigger bearing that reduced flexing of the main shaft enough to avoid the problems that had previously plagued Norton. This also reduced transmission power loss by 6% in the process. In winning the race Peter averaged 105.47mph and completed the fastest lap at 107.27mph (the second fastest lap ever at the time). Mick Grant came second on another JP Norton at a race average speed of 102.56mph. Peter’s racing career was to end tragically in 1974 when riding the space frame John Player Norton at Oulton Park. The combined seat and fuel tank unit parted from the frame under race conditions. He was badly injured but, thanks to top medical help at the crash scene, he survived. His recovery was progressed at Headley Court now widely known for its work in rehabilitating UK war veterans. That Peter then went on to complete further engineering qualifications and work for Cosworth and Lotus is no surprise. 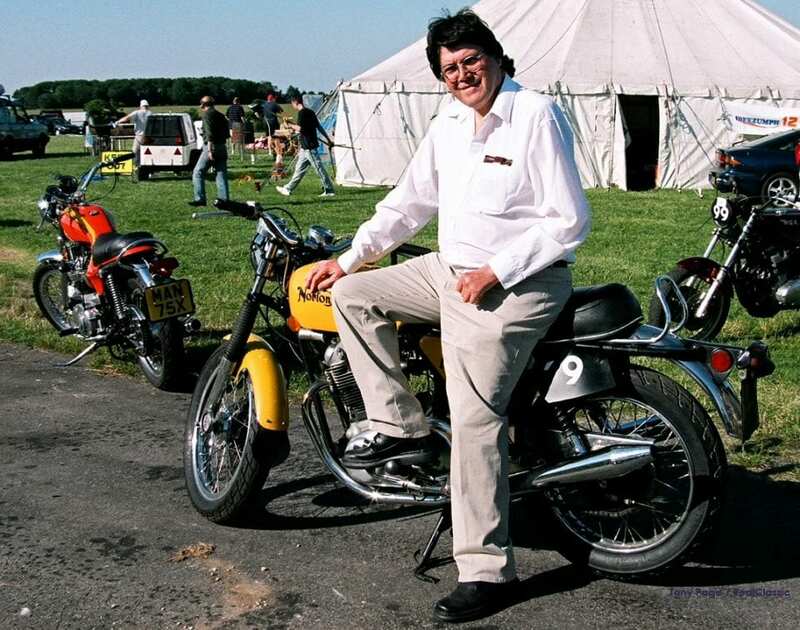 Peter is a remarkable character and in recent years has worked to make replicas of the John Player Monocoque Norton and the Arter ‘Waggon Wheels’ Matchless G50 available. He also attends motorcycle club meetings and gatherings where he is as always a popular guest and speaker. The book comes highly recommended for anyone interested in the Norton Commando’s racing history, background on the ill-fated Norton Challenge (Cosworth JB) and insights into the life of a thoroughly resilient human being, brilliant racer and talented engineer. 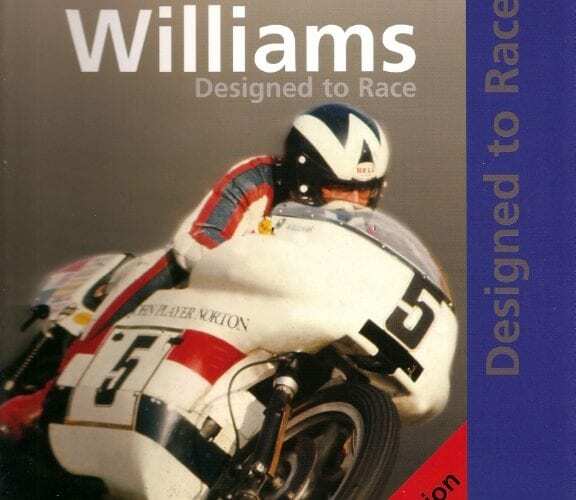 The revised edition of Designed to Race is available from the National Motorcycle Museum. The new edition differs from the original in having an additional chapter which includes Peter’s continuing story and an analysis of ‘the perfect racing line’. The first edition is out of print as a hardback book but is still available as a Kindle ebook. The hardback revised edition is 286 pages long including a three-page index and around 300 photographs. It is priced at £35 which the reviewer regards as very good value for money. 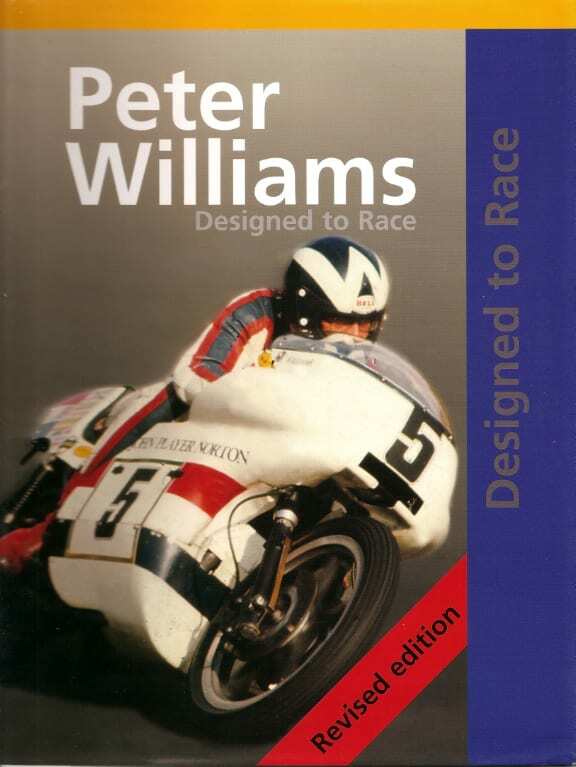 Peter Williams will be signing copies of his book at the South Of England Classic Show on 29th October 2017, and at the National Motorcycle Museum LIVE Open Day on 4th November 2017.